Austria has strict laws regulating the quality and labelling of wines. They were partly released or reviewed after anti-freeze scandals of the 1980ies, when large-scale frauds were revealed that did considerable damage to the industry. Since then, the reputation of Austria′s wine has recovered as there was a general turn in the production philosophy: Up to the late 1980ies, Austrian vineyards were mass-producers of cheap wine, these days it is quality and high-end production that counts. 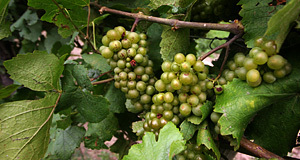 Apart from classified wines, the fall is also famous for the "Sturm" ("tempest"), slightly fermented and unfiltered grape juice. It is particularly popular in South Tyrol and Styria. It is available only for a very short amount of time - normally hugely advertised. Sturm is sold in open bottles or directly in wine halls, Heurigen or Buschenschanken. Once the fermentation is slowly ending, the young, unfiltered wine is called "Staubiger". In a filtered state, it turns into the young wine of the year, called "Heuriger". This wine is sold in traditional Heurigen (North-eastern Austria) or Buschenschanken (South-Eastern Austria, Styria) until the 31st of December of the year following the harvest. "Heuriger" is often sold directly on the vineyards in large bottles ("Doppler", holding two litres). The opening day for the Heurigen wine is the 11th of November, St. Martin′s Day. Historically, taverns called "Heuriger" were allowed to sell only this wine of the current year. These days, even traditional Viennese Heurige sell other wines, too. There are three classes of quality wine that are standardised in Austria. Tafel- or Tischwein ("table wine", 10.6 degrees KMW) with Landwein (14 degrees KMW) are the lower class; Qualitätsweine ("quality wine") are of high quality and have a lower sugar content. They are subdivided into actual Qualitätswein (15 degrees KMW) and Kabinett (17 degrees KMW). Finally, high-quality Prädikatswein contains a variety of dessert wines that Austria has become famous for. The wines of the Prädikatswein group are Spätlese (19 degrees KMW), Auslese (21 degrees KMW), Eiswein (25 degrees KMW), Strohwein (25 degrees KMW), Beerenauslese (25 degrees KMW), Ausbruch (27 degrees KMW) and the legendary Trockenbeerenauslese (30 degrees KMW). In 2003, regional committees were formed to control in addition to these classes the quality of wines typical for only individual districts. These wines are called "DAC wines" (Districtus Austriae Controllatus). The so-called inter-professional committees decide on the criteria that are used to classify these wines. Furthermore, there are several wines that get classified and sell internationally, but their composition is not legally regulated. These include local or regional names for types of wine, such as the mentioned Heuriger for the young wine of the current year. Steinfeder, Federspiel or Smaragd are three dry wines from the Wachau in Lower Austria of exceptionally high quality. Grüner Veltliner (36,04 percent); Welschriesling (8.91 percent); Rivaner (Müller-Thurgau) (6,78 percent); Weißer Burgunder (Weißburgunder, Pinot Blanc, Klevener) with Chardonnay and Morillon (6,05 percent); Gemischter Satz (specially combined varieties) white (2,83 percent); Neuburger (2,26 percent); Frühroter Veltliner (Malvasier) (1.29 percent); Scheurebe (Säling 88) (1.09 percent); Bouvier (0.75 percent); Gewürztraminer, Traminer (0.75 percent); Muskat-Ottonel (0.68 percent); Sauvignon Blanc (Muskat-Sylvaner) (0.65 percent); Goldburger (0.64 percent); Grauer Burgunder (Pinot Gris, Ruländer) (0.6 percent); Roter Veltliner (0.53 percent); Gelber Muskateller and Roter Muskateller (0.3 percent); Rotgipfler (Rotreifler) (0.24 percent); Zierfandler (Spätrot) (0.2 percent); Grüner Silvaner (Sylvaner) (0.1 percent); Jubiläumsrebe (0.06 percent) and Furmint (less than 0.03 percent). Blauer Zweigelt (Zweigelt, Rotburger) (8.97 percent); Blaufränkisch (5.44 percent); Blauer Portugieser (4.86 percent); Blauburger (1,82 percent); Blauer Wildbacher (Schilcher) (0.96 percent); Sankt Laurent (0.86 percent); Blauburgunder (Blauer Burgunder, Blauer Spätburgunder, Pinot Noir) (0.84 percent), Gemischter Satz (specially combined varieties) red (0.74 percent); Cabernet Sauvignon (0.64 percent); Merlot (0.23 percent); Cabernet Franc (0.06 percent); Syrah; Roesler; Rathay (the latter three were just admitted in 2000, when these data were collected).